Safety - It's the job you perform first! 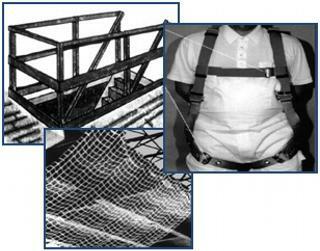 OSHA requires that employers provide training for each employee that may be exposed to a fall hazard. Falls are a leading cause of construction related deaths each year and an average of over 4,000 OSHA citations are issued to employers each year for the lack of protecting from a fall. Achieving fall protection calls for basic training for employees, constant vigilance from supervisors, and the use of fall protection systems. At Safety Equipped, Inc. we believe that the best way to be certain that a fall does not occur is through employee fall hazard awareness and taking steps to prevent a fall from occuring at all. 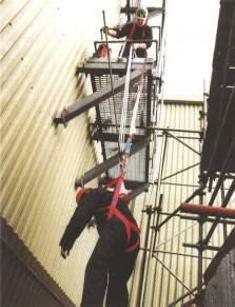 This course consists of classroom study identifying fall hazards and methods of preventing falls, hands-on demonstration of fall protection equipment including function, inspection and implementation of fall protection systems, interaction with students demonstrating the various fall protection systems, and a written test to evaluate student competency. The goal of providing this training is to contribute to the development of an overall workforce training program that will support a safe and productive workplace environment for your employees that is free from fall hazards. At the conclusion of this course, each student will be issued a "Certificate of Completion" wallet card as proof of successfully completing fall protection training. OSHA requires that employers maintain records of employee training. The employer will receive the class attendance sheet(s), class evaluation forms and a copy of each students "Certificate of Completion" wallet card to meet the OSHA requirement. fall hazard in the work place. protection systems once in place. available in the event of a fall. WE BRING THE TRAINING EXPERIENCE TO YOU!